In a recent survey of internet users in Egypt, KSA, UAE, Lebanon, Qatar, and Tunisia conducted by Mideastmedia.org, 37% said they had concerns about governments checking what they do online, while 42% worried about companies checking what they do online. While these numbers are a sizable portion of the population, they are still too low. The truth is, companies and governments alike want to know what you are doing online, not to mention thieves who salivate at the thought of getting your personal information, including your bank account. But more than money is at stake. Your life could be at stake. Government spies have used what they have gathered online against their own citizens, arresting them and imprisoning them in some cases. 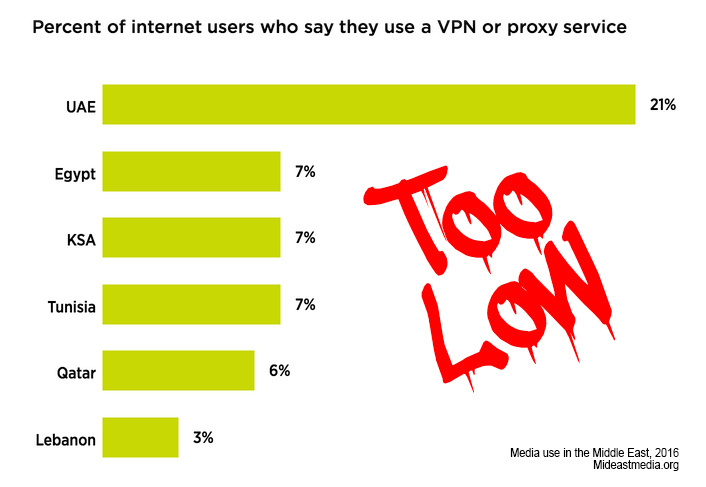 Even lower than those concerned about privacy is the number of VPN users in these countries. VPN encrypts your information so that governments, companies, and cyberthieves can't see what you're doing online. Using a VPN is vital to protecting yourself and your livelihood. In KSA in 2015, 52% worried about companies and 43% worried about government, yet only 7% said they used VPN when going online. Likewise, in Lebanon, 35% and 26% respectively are concerned about privacy, while a mere 3% use VPN. We aim to change that. With 1 GB free a month, you have no excuse to go unprotected. 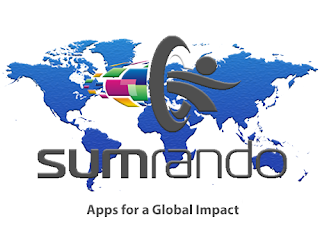 Get SumRando VPN today. You can find the full study at http://www.mideastmedia.org/survey/2016/chapter/online-and-social-media.